Suspension systems serve a dual purpose -contributing to the vehicle's road holding/handling and braking for good active safety and driving pleasure, and keeping vehicle occupants comfortable and reasonably well isolated from road noise, bumps, vibrations, etc. It is important for the suspension to keep the road wheel in contact with the road surface as much as possible, because all the forces acting on the vehicle do so through the contact patches of the tires. 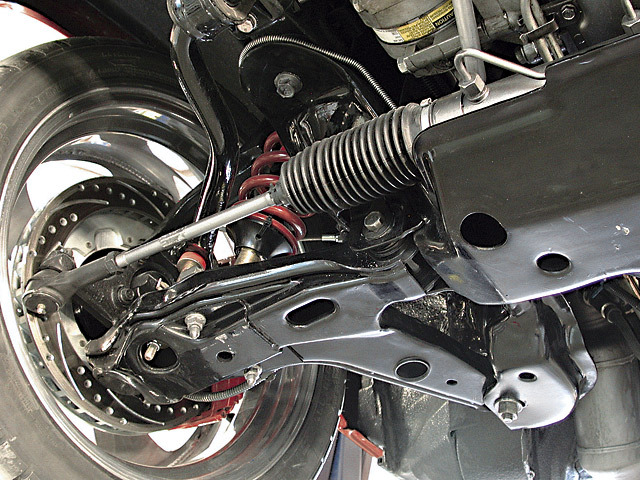 The suspension also protects the vehicle itself and any cargo or luggage from damage and wear.